This is the 14'6" x 25' Adjustable Skirt Bar for the Heavy Duty Fast-Fold Deluxe Projection Screen from Da-Lite. 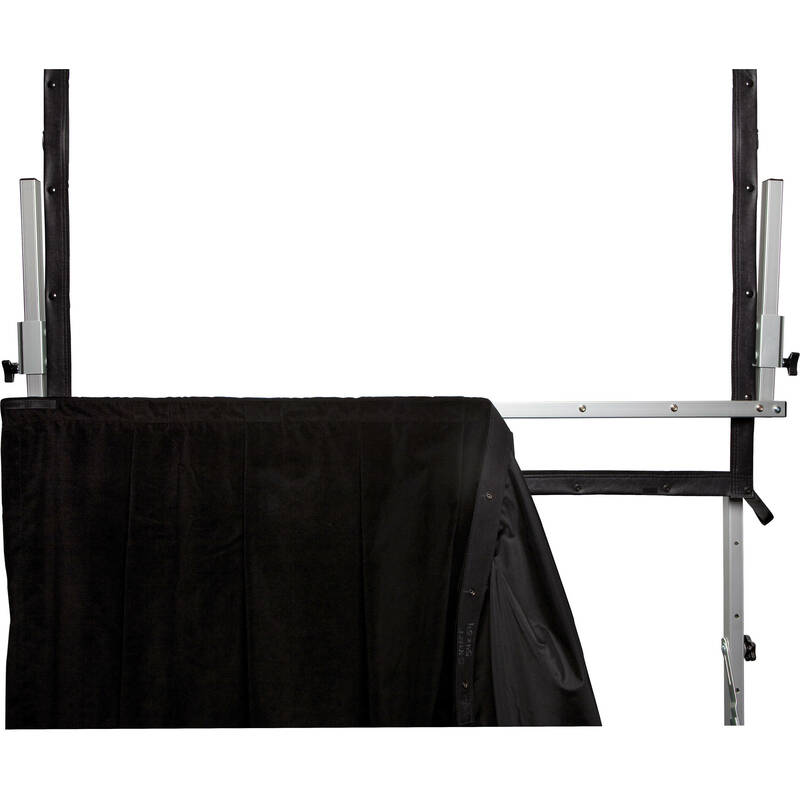 Since it can be raised or lowered to any height, this anodized aluminum chrome bar allows you to change the aspect ratio of your image. The snaps on the skirt attach to the snaps on the bar. Two thumb clamps on either side of the bar control the up/down function.